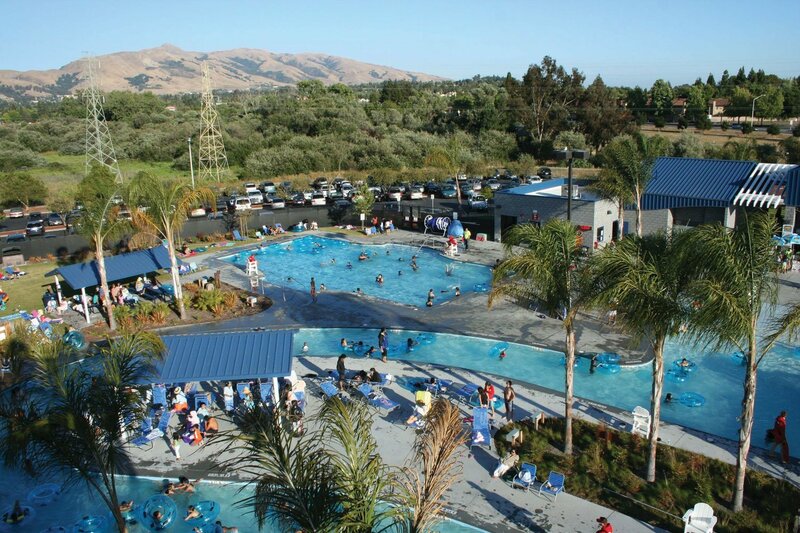 There are so many ways to have fun at a waterpark. But there are also a lot of ways things could potentially go wrong when you involve water, crowds, high-speed thrills and complex rides. 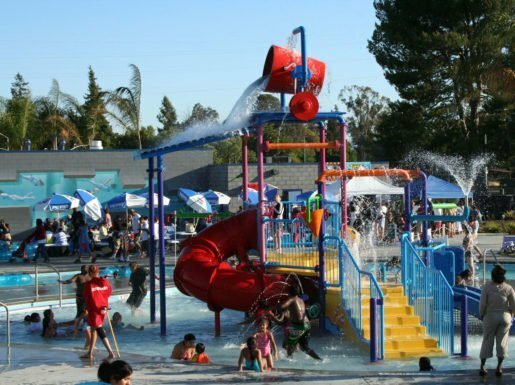 So waterpark managers generally employ a series of safety precautions, with lifeguards and other personnel backed up by a system of regulations and routines. An aerial view of Aqua Adventure’s attractions. Safety rules are recited to riders each time they ride a slide. Most waterparks have strict regulations for how tall a person has to be in order to safely ride. At Aqua Adventure, the minimum height is 48 inches, “and we measure every person who may be questionable,” said Hagmann. Meanwhile, the cutoff for giant water slides is 42 inches at Jungle Jim’s River Waterpark in Rehoboth Beach, Del., said Manager Kyle Sechrist. “We enforce that using the wristbands, so the lifeguards know what to look for,” Sechrist explained. To keep those crowds safe, Jungle Jim’s relies on a staff of lifeguards certified through the firm Ellis and Associates. Sechrist and his colleagues also send riders down slides in “big poufy safe tubes,” and put check marks on rides to let the lifeguards know when it’s safe to send down the next person. “We make sure the ride is slow enough to control the flow,” Sechrist explained, adding that with shallow water at the bottom, patrons can exit easily. At Splash Aquatic Park in Golden, Colo., Manager Max Sweeney cordons off deeper water zones — four feet and more — where kids can lose their footing. And his team is constantly monitoring to ensure that currents from the water slides don’t affect the swimming areas. “That’s a big concern of ours,” Sweeney said. A tipping bucket in a waterplay area at Aqua Adventure in Fremont, Calif. Slides are inspected thoroughly and daily at the attraction. With about 400 daily guests from all over Colorado, the Splash team takes the morning safety check seriously. Something as small as a loose bolt can shut down a ride before opening, as happened recently, Sweeney said, forcing a quick repair job. Managers pay particular attention to the popular FlowRider slides, which can be the highest-intensity attraction at a park geared to families, said Tyler Ward, waterpark manager for Silver Mountain Resort in Kellogg, Idaho. To ensure the safety of FlowRider fans from across Idaho, Missouri and Washington State, Ward’s team has several counterintuitive precautions in place that protect guests. They range from a no-goggles rule — the ride’s force can push them into the eye, causing injury — to a prohibition on life jackets, whose buoyancy can strand a child on top of a wave rather than allowing a clean slide down. Max Sweeney, who manages Splash Aquatic Park in Golden, Colo., and Kyle Sechrist at Jungle Jim’s River Waterpark in Rehoboth Beach, Del., agreed that lifeguards are important — both for their ability to whistle over high volume crowds, and for their employing a technique Sweeney calls “loud but assertive, saying please and thank you” while enforcing safety rules.